BIORIVOLUMETRIA makes it is possible to COMBAT AGEING through AUGMENTATION of VOLUME and DERMAL AND HYPODERMAL STIMULATION. When a face gets older the adipose compartments move and becomes thinner, which, in some cases, causes asymmetries of the face. The lack of a structural support, on its turn, causes a relaxation of soft tissues, that makes the aged face look hypo-trophic and loose. 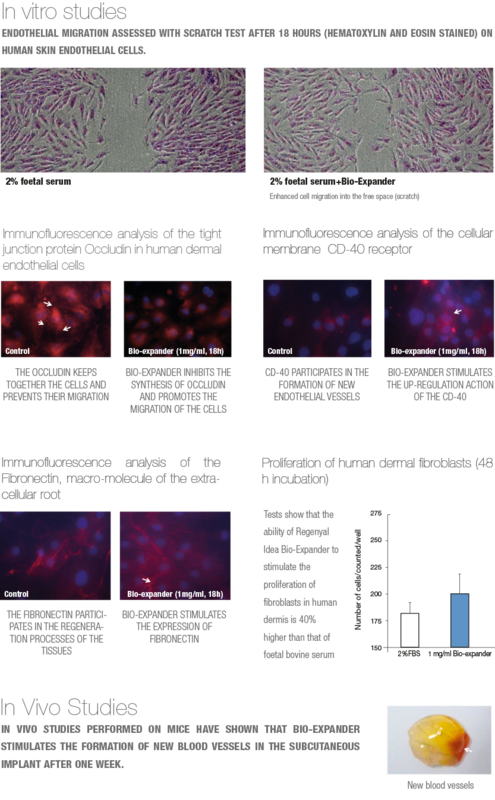 The Biorivolumetria products are mono-phase gels manufactured with a long-lasting cross-linking process at low temperature – “gentle cross-linking” (FIG.1). The slow mixing allows for the cross-linking agent (BDDE) to widespread better and in a more uniform manner. 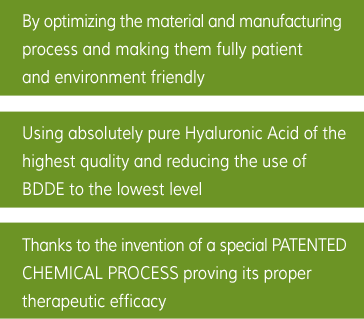 The amount of BDDE used is 30 per cent lower than in the majority of other products with the same degree of viscosity available on the market. 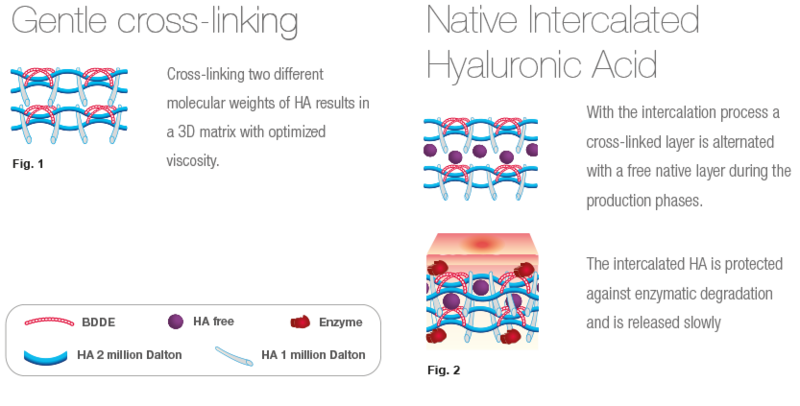 Moreover, in the case of BIO-EXPANDER three molecular weights of hyaluronic acid are implemented: at 1million, 2 million and 500 thousand Dalton; the latter corresponds to 10 per cent of native and intercalated HA (FIG.2). Differently long HA chains allow for a better calibration of the product’s viscosity. 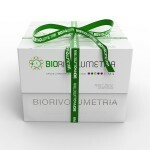 When choosing a biorivolumetria product for a patient, the FACIAL HYPO-VOLUMES. The hypo-volumetric aspect prevails over the de-structuring, whereby the latter is in its early or a little developed stage. In addition, a correct hydration and extra-cellular osmolarity are found. The reduction of the hypodermal layer is more widespread and is related to an advanced damage of the dermal structure and to a reduced concentration of fluid inside the extra-cellular compartment. How was it possible to reach this target?